Get ready, the ‘SURE-WIN’ Promotion is coming! 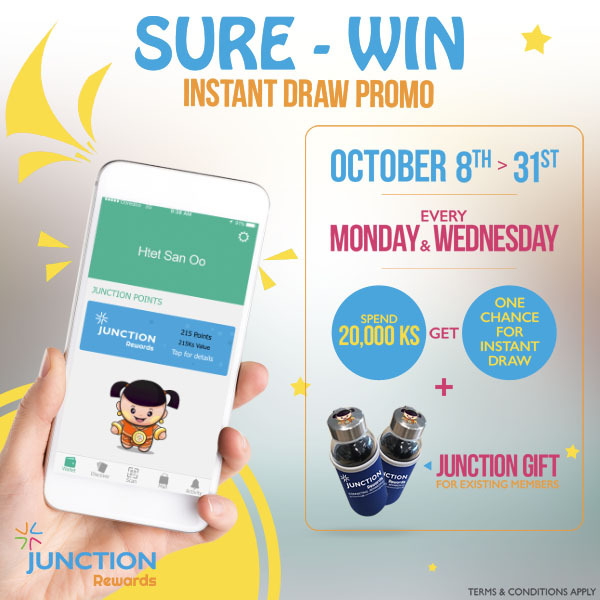 Every Monday and Wednesday from Oct 8th till October 31st, whoever spends above 20,000 MMK can win exciting prizes in all Junction Centres (except Junction City). If you’re already a member of Junction Rewards, you will not only get a water bottle but you can also collect the points in the app. So, keep on using the Junction Rewards app and don’t forget to tell your friends!